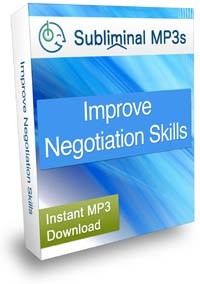 Improve your negotiation skills and become a naturally better negotiator with the help of this unique subliminal messaging album. This album has primarily been created with business negotiations in mind, but improved negotiation skills can help in every area of your life too - from relationships with your children, your partner and your friends. Imagine what it would be like to be gifted in negotiation - to be able to close more deals, to save deals which were going out of your favor, to be able to see things from the perspective of all parties and instinctively know what would be needed to make it happen. Do you get nervous or feel un-confident when negotiating? Do you sometimes struggle to reach an agreement in your negotiations? Do you back down in the face of pressure? Do you ever accept less than you should or make poor deals? Do you lack the ability to consistently close deals? If so then this album can help you, you can change! Negotiation is a skill, and like any other you can develop your negotiation skills. People who are successful with negotiation all have similar self beliefs, values and patterns of thinking. 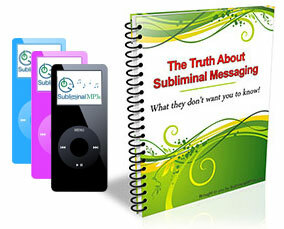 Our subliminal audio works to replace your limiting beliefs, lacking confidence and negative patterns of thinking for positive ones - as shared by these successful people. Make you believe in yourself - that you are a good negotiator and can come to successful agreements naturally. Make you see yourself as confident and assertive. Help you to take the other persons perspective into account, and learn to compromise. Help you to develop a natural talent for knowing when to close a deal. Develop your instincts so you will know when it is best to push for more, or right to back down. Make you value yourself and your offer much more so that you never take less than you are worth. When you first start using this album you will feel energized and more confident straight away, and because of this it can be a great album to use to get an instant boost just when you need it. With continued use you will become a lot more naturally assertive, and you will always be thinking things through from different angles, and looking for the best way forward in all situations. Download this album now and you can be listening within minutes and starting to transform your mind and the way you approach negotiations to help you get more from them, and more out of life in general.